Hey friends! Welcome to the time of year on the blog when nothing creative seems to be able to emerge from my hands or mouth. That’s right… I’m officially in my annual Springtime blogging funk where I can no longer be trusted to be entertaining, so I am not even going to try. When the weather is perfect and my flower beds start calling my name, I have to answer the call. I am taking some time away from the computer to actually live my life for a while so that I can come back here and blog about it later. What a novel idea, huh? In the meantime, I figured you guys wouldn’t mind if I gave away some REALLY cool stuff to decorate your home, right? Raise your hand if you’re a sucker for gorgeous, hand-painted signs with sayings on them that speak to your heart and spur you into taking some action in your life. I have been in love with my Beatles quote for a few years now, and it’s still guilts inspires me to try to be a little bit more awesome every time I walk down my staircase and look at it. These signs are 4 foot wide and 2 feet wide, and they are fully customizable if you order from the Between You and Me Etsy shop. They also have some of my favorite bible verses, lyrics from hymns and just plain old happy sayings in the shop. Please take a browse and see what I mean. Imagine what an amazing gift thjs sign would make for Mother’s Day (better hurry!) or Father’s Day? This week, one lucky person is going to win a Family Rules sign, but the rest of you can take advantage of 10% off in their etsy shop all through May with the coupon code UNSKINNYBOPPY. Please enter the Rafflecopter below to be entered to win. Giveaway will end at Midnight on Tuesday, May 7th, so hurry hurry! That sign is beautiful and I would LOVE one for my home! 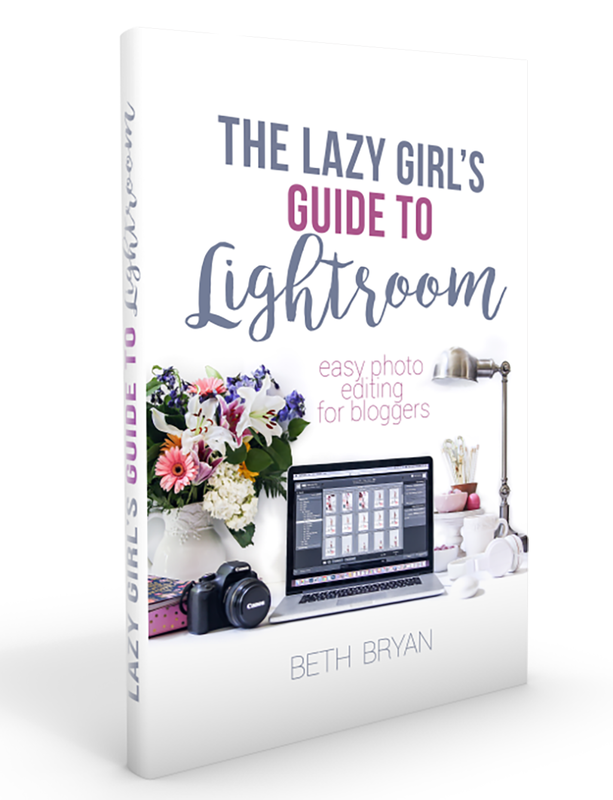 Great giveaway, Beth! I hear you! Those tulips are BEGGING to be transplanted right now!! Love the sign Beth! I wanna WIN WIN WIN! love love love this sign!! Thanks for the giveaway – have a great weekend! Love this sign! I’m looking for new decor/signs for my new apt. This would be perfect. I would Love to in this awesome sign. Love this sign would love to have one for my home! Love the sign! Like you, I spend too much time pinning things to actually make one of my own. We’re moving to a new state soon, so would love to have this for our new home. Take all the time you need in your garden, but don’t forget to come back. We’ll miss you! Very cute sign! Bright and light on my gloomy and rainy day! I absolutely love these signs! Would be perfect in our family room. We just bought a house and this would look great in the stairwell leading up to our children’s room! Awesome giveaway, I hope I win! This sign is awesome! Love the distressed look. Crossing my fingers and hoping I win. The sign is lovely and loved your blog! I think what came out of your mouth was great ! 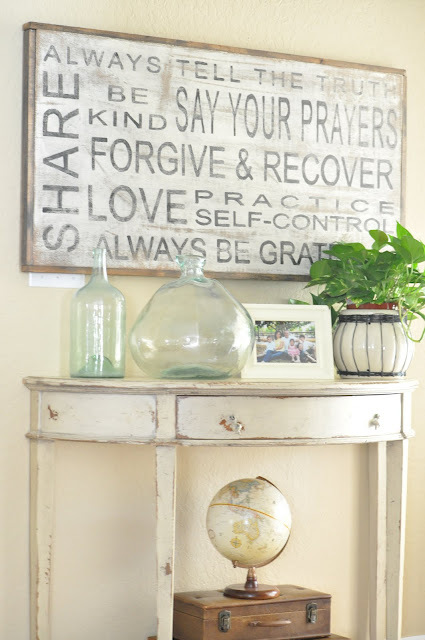 I love these signs and have been eyeing them for awhile…I’d love to have one in my home. Thanks very much for this giveaway. I love this sign and have always been attracted to subway art of any kind. I love reading your blog! The giveaway sign is awesome as well! We just bought a new home, and need artwork! I’d love something like this in our house! one of her signs would look lovely at a wedding!! or hanging in my house! This is so beautiful! I’d love to have it in my home! Of course I would love one of these delicious signs!! Thanks for the chance!! Have fun playing in the dirt – it’s that time of year!! Enjoy your family…and the time off! Oooo! Ooooo! Me! Me! Me! (raising hand) I would LOVE to win one of those gorgeous signs for my home! Thank you both for the opportunity! Really don’t need this…..walls are full……but would gladly “bump” another one off to hang this beauty. LOVE LOVE LOVE this sign! I have wanted a family rules sign for awhile. Love that sign. I know I could find a place for that somewhere in my home. Enjoy your gardening. Beautiful signs and beautiful girl that designs them! Hope I win! I love this sign!! Good words to live by! I can picture exacty where this would hang in my home — if I were lucky enough to win. Thanks for te opportunity! I love this one! I’ve seen several “family rules” signs but couldn’t pull the trigger because there was always something obnoxious on the list. I love all of these sayings! I hope I win! I adore the sign! What a great giveaway! I hope I WIN!! I love these signs, they give things a beachy type feel! I’m a huge fan of her work! I have a “You have my whole heart for my whole life” sign in our bedroom and would love another piece!